These two musicians have worked together for over a decade on different stages in different countries. In this show they will explore their cultures and their interests, centering around the Tango Music which they have been performing together for over a decade. They will perform Tango music from both their cultures, Bulgaria and South Africa, and there will be space on the stage for Tango Dancers to take the stage. So if you are a Tango Dancer, bring your dancing shoes along, and if you are simply interested in watching, you can have a drink and relax and enjoy the sights. The idea for this show came during their tour to Germany where they performed in the prestigious Leipzig Gewandhaus, and performed in Tango Clubs in Berlin, Leipzig and Tubingen. 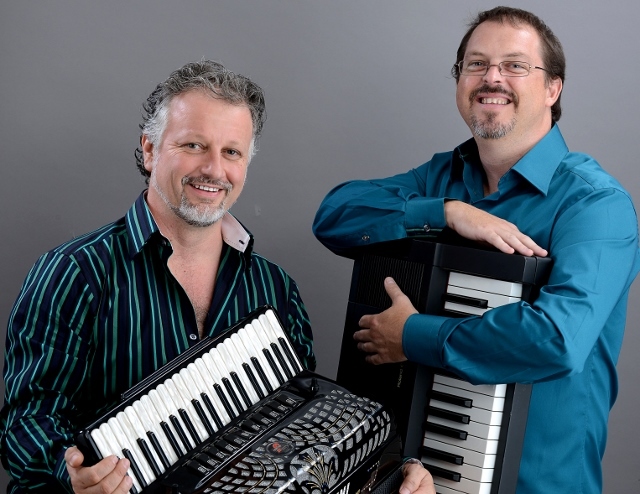 Albert Combrink and Stanislav Angelov form the core of the well-known CT Tango Ensemble, the only Tango Orchestra of it's kind in Africa. Both are classically trained musicians who came to the passionate world of Tango through the seductive strains of the music of the great Tangeuros: Piazzolla, Gardel, Di Sarli.... They have continued to redefine the parameters of Tango, including African Instruments on their First CD "El Tango En Africa" and adding Classical Guitar and Jazz Saxophone on their second SAMA Nominated CD "Tango Cub".